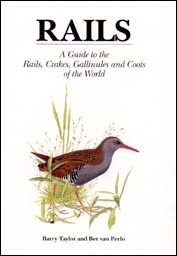 The Wildfowl title in the Helm Identification Guide series was first published in 1988, and was the third in the series. Astonishingly, there has never been a serious competitor or update, and the book is now badly out of date. This new book aims to fill this gap. For convenience, this book restricts its coverage to the Holarctic (Europe, Asia and North America), and focuses on identification issues. 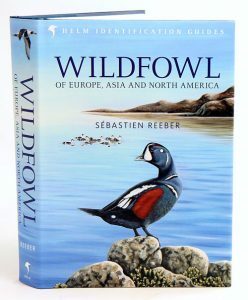 It is fully illustrated with both plates and photographs, and includes an up-to-date range map for every species. Crane enthusiasts will love this beautifully illustrated book. Cranes are found on all continents except South America and Antarctica. They are typically associated with open wetland and grassland habitats, where their bright plumage, graceful proportions and convivial nature are displayed in elaborate dancing and duet calling. Those species that breed in the northern regions of North America and Eurasia undertake long migrations each spring and fall. Cranes choose life-long mates and are devoted parents that raise their young with both tenderness and determination. This book traces the history of these fascinating birds from their early origins in the Mesozoic Era to the present day. 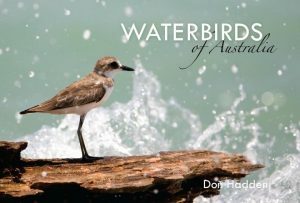 The book covers anatomy, feeding habits, mating rituals, habitats, caring for chicks, migration and seasonal movements. A special section is devoted to cranes in myth and folklore. Species profiles are included, along with range maps and conservation status of: Black-crowned crane, Red-crowned crane, Black-necked crane, Sandhill crane, Blue crane, Sarus crane, Brolga, Siberian crane, Demoiselle crane, Wattled crane, Eurasian crane, White-naped crane, Grey-crowned crane, Whooping crane, and Hooded crane. 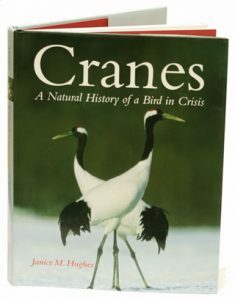 Emphasis is given to the Whooping crane as a case study of the environmental and human pressures that threaten the existence of all family members. Through the tireless efforts of many dedicated researchers and volunteers, this species is slowly being brought back from the edge of extinction. Operation Migration, the project to establish a migratory population of Whooping cranes in the eastern United States, is profiled in a special chapter. Those who are unfamiliar with grebes tend to think of them as odd ducks, but their strange behaviours reveal them to be fascinating and intriguing birds. Grebes are unusual and unique in many ways: their habit of feather-eating; their method of sunbathing; their special method of underwater propulsion; the unusual structure of their feet; their courtship behaviour; and their floating nests. As the birds are dependent upon shallow wetlands, they are strongly affected and threatened by our use of their habitats, leading to dwindling populations and even extinction of some species. 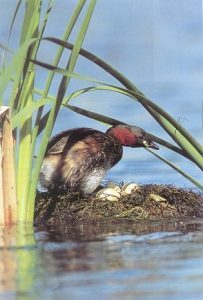 In this addition to the Bird Families of the World series Jon Fjeldså, a renowned expert on the grebes, provides an overview of the results of all the research that has been done on grebes. Part I contains a brief presentation of the grebe family, constraints of diving, the relationships between grebes and divers, and the morphology of grebes. Part II covers their biogeography, ecological distribution, feeding ecology, behaviour and communication, breeding biology, environmental threats, and conservation. Part III follows with 22 species accounts, including distribution maps. 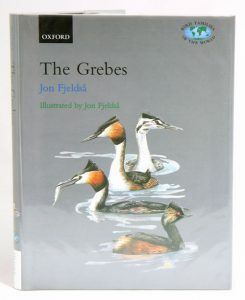 The plates section contains sixteen stunning paintings showing all the grebe species, by Jon Fjeldså. 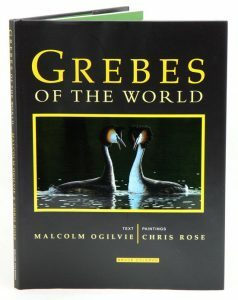 The Grebes, like its companion volumes in the series, will be an indispensable work of reference for ornithologists, whether professional or amateur. 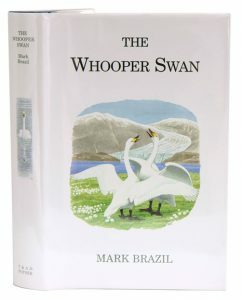 An in-depth look at the Whooper Swan, investigating its biology, migratory habits, courtship and breeding behaviour and its role in the folklore and legend of the many countries where it occurs. Artist/Author: Kushlan, James A. and James A. Hancock. Print on demand title. 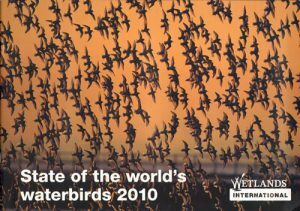 A new volume in the Bird families of the world series. 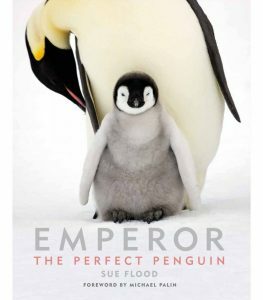 This book is an up to date monograph on the heron family. Both authors are renowned experts in their field and have produced a definitive synthesis of the biology of herons. Andre Konter is an ornitholoigist who has travelled to 5 continents to observe and photograph all grebe species. This book outlines his observations made during his travels. Also included are line drawings of all species as well as photographs of the 19 of 222 species that still exist.